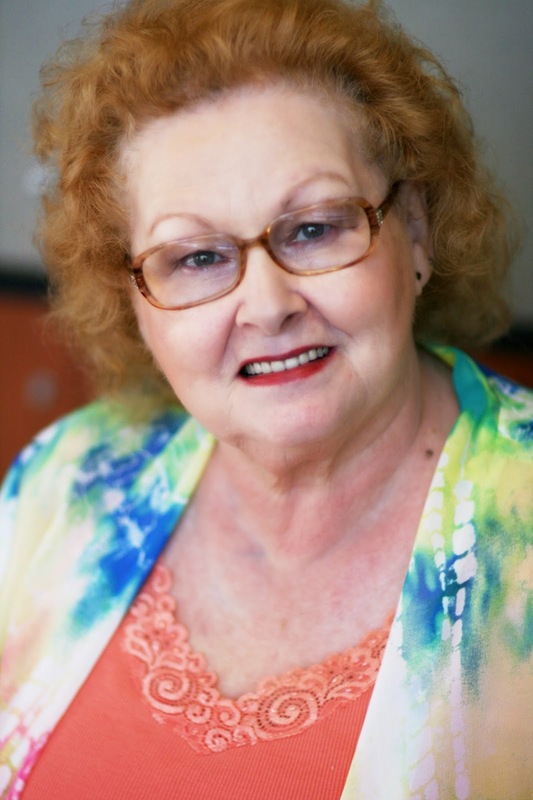 I'm so excited that Lena Nelson Dooley has come today and let me interview her heroine, Lorinda Vine, from her manuscript A Heart's Gift! Has anything significant happened in your life in the past two weeks? My husband’s ex-fiancee arrived at our ranch two days ago. She was just a bag of bones, but carrying a child. She was also riding my first husband’s horse, which disappeared before he was found dead. I was embarrassed when I had to come live at the Flying V ranch several months after my husband was killed. I was heavy with child, and an arsonist had burned the log cabin Mike had built after we married. I didn’t want to have to depend on someone else. What is your first reaction when you meet a fetching lady/handsome gentleman? Blush? Stutter? Run? Flirt? Engage them in intelligent or witty conversation? Start an argument to see how they handle anger? Offer a helping hand? Ask a friend what they know about them? I haven’t met that many. My first husband rescued me from the hard life I had living with my father. My mother had died during childbirth, and my baby brother died at the same time. My father wasn’t very nice to me after that. So I haven’t been really interested in any man, except my husband. What happened the last time you spoke to a large group of people? I don’t actually speak to large groups of people. But most of the people in town attended my wedding to my second husband. But they don’t know about the circumstances of our life together … and I don’t want them to ever find out. Do you have any grandparent figures in your life? How have they influenced you? I don’t remember any of my grandparents. Siblings? How many? Do you get along? I was raised as an only child. My only brother died the same day he was born. I was just five years old. I’m in a convenient marriage with the man who rescued me from the mountain where my home went up in smoke. Where were you born? What other significant happenings surrounded this event? Missouri, but now I live in Colorado. What is your worst fear? It used to be that I wouldn’t be able to financially take care of my son, but since Franklin Vine and I married, I’m afraid someone will find out the circumstances of our marriage. It would reflect badly on both Franklin and myself if they knew. When’s the last time you had a really good meal? Courtesy of whom? Our housekeeper is a wonderful cook. She’s been teaching me how to cook most of the things, too. I don’t know what I would do without her. And she’s the only “grandmother” my son will ever know. Stir dry ingredients into liquids. Bake at 375◦ for about 15 minutes if making muffins. Can also pour into square cake pan and bake. 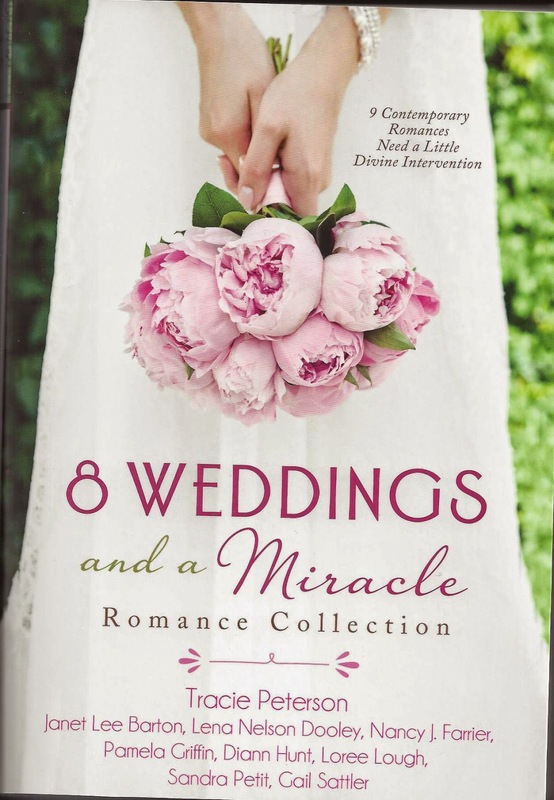 Lena is giving away a copy of her newest release, 8 Weddings and a Miracle! Enter using the raffle copter at the end of the post! Nine contemporary couples face challenges on their way to the marriage altar, and readers will delight in how God intervenes to get them to the point of "I do." Be it a meeting in the wrong place at the right time, an accident that opens hardened hearts, or weather that seems to blow things off course, romance has a way of persevering. Penned by an exclusive selection of Christian fiction authors, this collection of romances will become an instant favorite. Take the journey along with nine couples as they dodge disasters on the road to love. If you're just joining in and are following the comments, there is an option to comment for an entry in the Rafflecopter. The questions are, "What is your favorite part of weddings? Or what do you love most about marriage of convenience stories?" Thank you, Natalie, for having me on your blog. Deanna, theirs is a marriage of convenience, so supposedly, there is no love involved ... but is there? I like the exchange of vows. What a great way to begin marriage by telling each other how you will be commited to them. Hi, Deanna! It is very sweet, isn't it? Robin, me, too! I love the look on a couple's faces as they make their vows. It's such a precious thing. I love seeing how a couple get together and falls in love after getting married first. Thank you, Robin and Natalie, for stopping by and commenting. I haven't gotten married yet but I just love watching couples kissing after becoming husband and wife - it probably is diferent for them, a new filling. And I love wathcinh their first dance together, it's magical. i love when the charactersfall in love..
Irma and Maria, thank you for coming by and visiting us.